Bonjour friends, we have a very special announcement, but first, a little background. While in Paris, Adam and I decided to spend several hours in the Louvre. 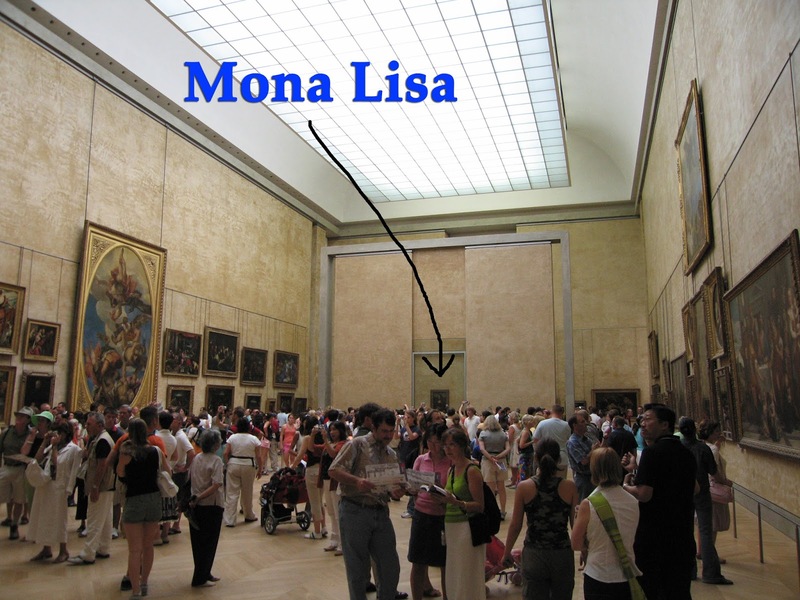 It had been a many years since we saw some of the greats: Venus de Milo, the Winged Victory of Samothrace, and of course, Leonardo da Vinci's Mona Lisa. It was a Wednesday night -- a night the Louvre was open late. We took our time. We wandered past the sculptures, the Egyptian antiquities and along the wall of vast canvases painted by da Vinci, Raphael and Goya. 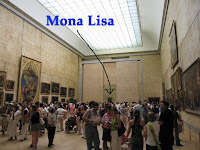 As we moved into the brightly-lit Salle des États,we found a crew removing the Mona Lisa to be packed away. A docent told us mademoiselle Lisa is going on the road for the first time in decades and would be shipping to the Art Institute in Chicago for a special exhibition "Mysterious Women through the Centuries." I jokingly remarked, "Well, you could have her at our little French market in Wisconsin for a stop over." Adam chimed in, explaining that Confectionique is located inside the Morey Middleton Airport, which would be quite convenient for the crew shipping her to take a rest before traveling on to Chicago. Adam and I looked at each other, laughing at our silly suggestion. Getting her ready for travel! As Adam and I continued to amuse ourselves with the thought of the Mona Lisa at Confectionique, the docent had snuck away to fetch President-Director of the Louvre, Jean-Luc Martinez. A few moments later, we were stopped by Jean-Luc, who wanted to know more about our airport location and our brilliant idea. 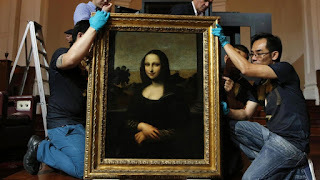 So, we are delighted to inform all of you that the fragile early-16th-century portrait, thought to be of the Florentine beauty Lisa Gherardini, will be making a journey from the Salle des États (under the protective eye of curators and security guards) to Confectionique for only one day (under the protective eye of Anastasia and Adam and the Middleton police department) before heading to it's final destination in Chicago. option to set up a special exhibit or sell tickets to fund our next trip to Paris, however, we will make the announcement as soon the museum's jet, Louvre One, lands and is safely on the tarmac in Middleton. 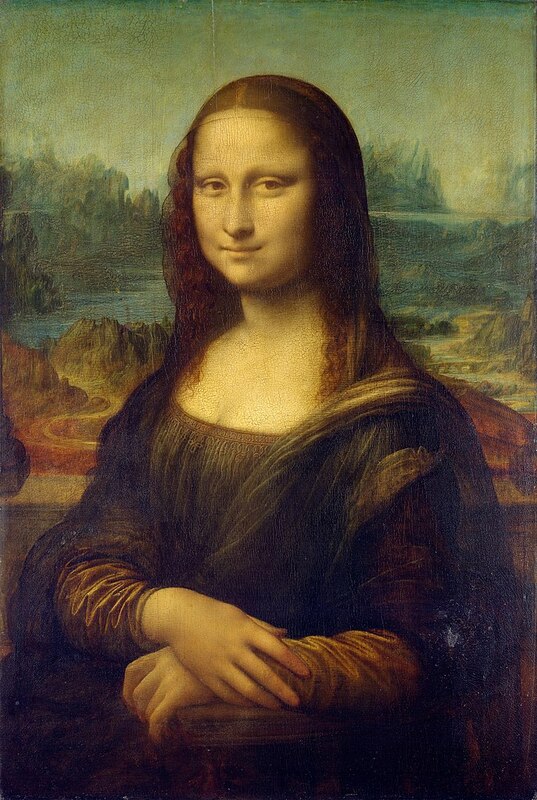 If you are in the neighborhood at the time, perhaps you can come to see this masterpiece of da Vinci perfection. Now that certainly makes us smile!